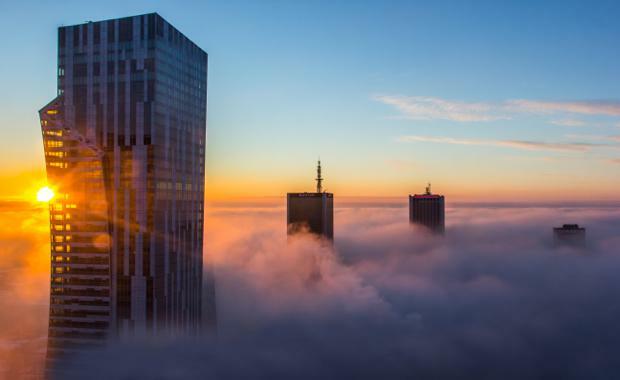 Złota 44, one of Europe’s tallest and most luxurious residential towers, has formally opened its impressive 19,300 square foot amenities floor. 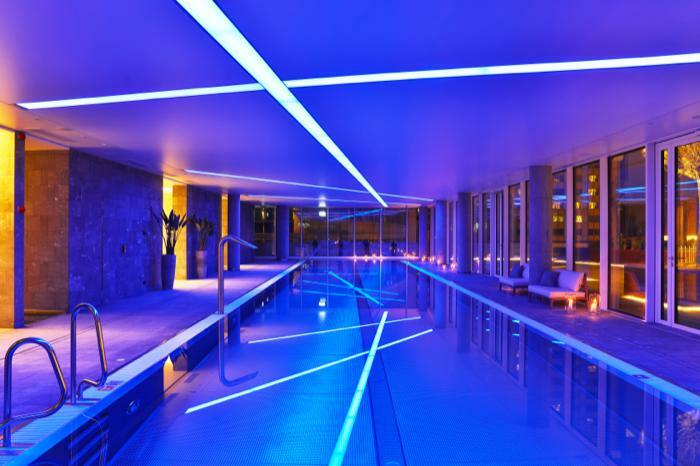 Designed by award-winning international design studio Woods Bagot, the luxury space - currently the largest private residential amenities floor in operation in Europe - features world-class sports, recreation, relaxation and wellbeing facilities. Located on the eighth floor, the amenities floor offers residents an unmatched living experience, providing world class services and opulent finishings that create a lifestyle not present elsewhere in the Polish property market. The space includes a 25-metre swimming pool (the largest private pool in Poland), gymnasium and fitness centre, full spa facilities (including Finnish sauna, steam room and massage rooms), private cinema equipped with a golf simulator; children’s playroom, as well as private business and conference rooms. 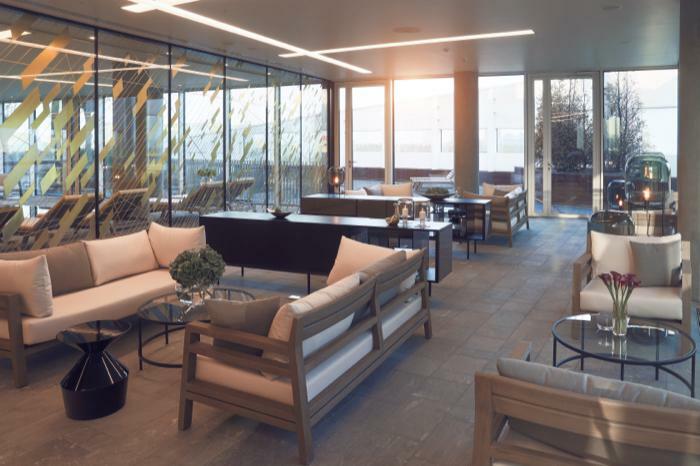 The 15,000 square foot interior recreation room opens onto the expansive 4,300 square foot private outdoor terrace, complete with thermal spa jacuzzi, sun loungers, relaxation area and feature landscaping for enhanced privacy. The floors and walls throughout the pool and spa area are adorned with rare quartzite, mined solely in the Vals Valley, Switzerland. Floor-to-ceiling glass panels, set within bespoke bronze-detailed frames, provide breath-taking views onto the Palace of Culture and Science. “We set out to give the living experience in Złota 44 an exceptional, identifiable quality which is by no means confined to the four walls of each apartment," Woods Bagot Principal Interior Architect Jonathan Clarke said. “The interiors are inspired by the rich heritage of style which flourished at the beginning of the twentieth century in large European cities such as London, Paris, Berlin, and a pre-war Warsaw. BBI Development President Michal Skotnicki said it was important to ensure that such a unique project like Złota 44 provided a leisure complex that matched the demands of potential buyers. 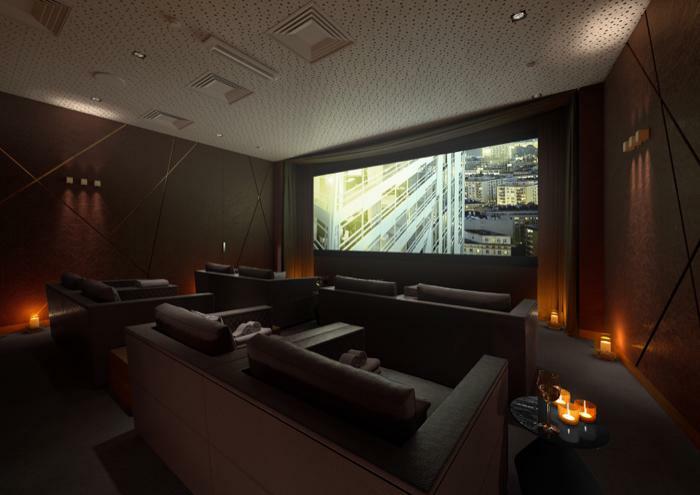 “The design by the team at Woods Bagot is exceptional and epitomises what we are trying to achieve at Złota 44; it has been a big attraction for all of our purchasers thus far, who range from local Polish buyers to global sports stars." One of the more high-profile purchasers at Złota 44 is Robert Lewandowski, international football star and captain of the Polish national football team. Heavily influenced by the level of health and recreation facilities on offer, he said choosing his apartment at Złota 44 was based on practical considerations. "The tower provides some of the best residences in Poland, whilst the sports and recreation centre allows me to complete my training program in the highest quality surroundings," he said. Lewandowski enjoys the access to the facilities like the swimming pool, gym, luxury spa area and treatment and massage rooms. He said it was great to be only a short elevator ride to facilities that match his professional needs. Designed by Architect Daniel Libeskind, the unique 192 metre high 52 storey tower dominates the city’s skyline and provides 287 one, two and three bedroom apartments and penthouses. The design of the tower makes each apartment unique in size and layout, with typical apartments ranging from 660 square feet to 3,224 square feet, and with penthouses and several full floor residences reaching up to 10,000 square feet in size. 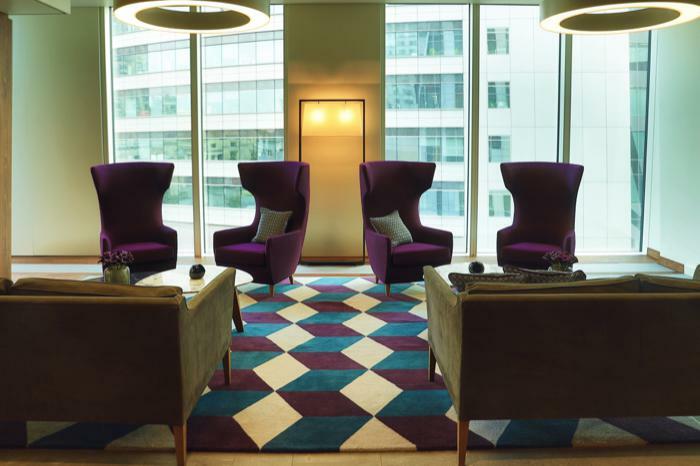 Woods Bagot has provided bespoke interior packages, giving purchasers a choice of nine different interior design schemes, providing a range of colours and materials that suit the tastes and preferences of each individual. 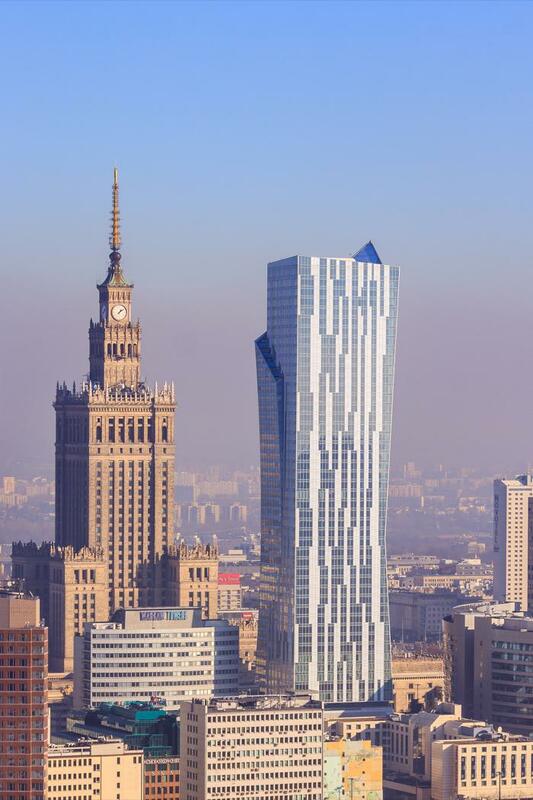 The combination of world class design and spectacular views create the ultimate living space in the thriving capital of Poland. Prices at Złota 44 range from £255,000 (1.4 million PLN) for a one-bedroom apartment to £1.35 Million (5.9 million PLN) for a three-bedroom apartment. The opulent penthouses are available under private negotiation, with offers expected to exceed £7 million.